DETROIT -- Ray Kurzweil, inventor, futurist and Google’s director of engineering, opened the SAE World Congress here by pointing out that predicting the future is easy. If you do it right. And he concluded self-driving cars are inevitable. 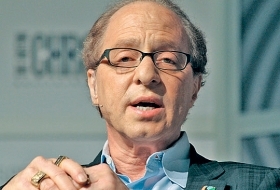 Over the course of his speech, Kurzweil discussed how this accelerating pace of advancements will impact life -- a theme he’s written about at length in several best-selling books.